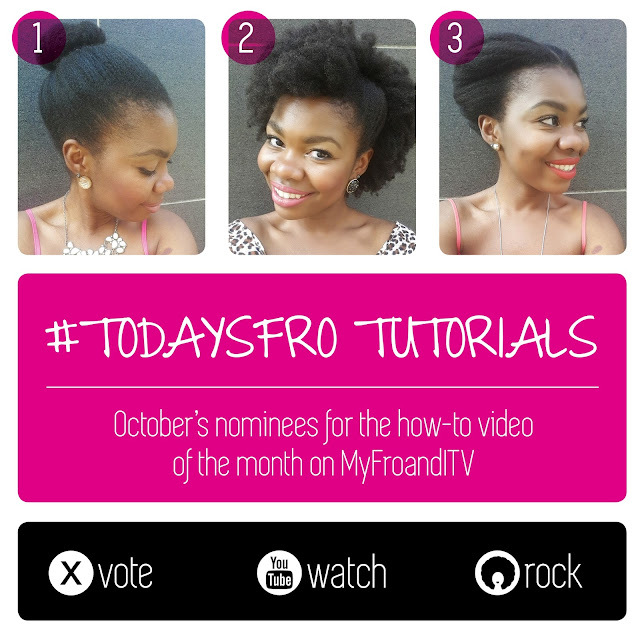 It’s November so you know what that means… it’s time for you to vote for your favourite October #todaysfro video tutorial! These hairstyles could be on my head but my hair is being a diva. I give it some attentiong and it starts acting up. They all look so beautiful!